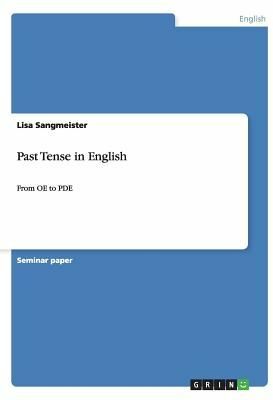 Seminar paper from the year 2008 in the subject English Language and Literature Studies - Linguistics, grade: 13 Punkte, University of Marburg, course: Morphology and Syntax, 20 entries in the bibliography, language: English, abstract: Why do we say walked to express the past tense of walk? And what is the reason for saying brought as past tense of 'to bring' instead of *bringed? Where is the origin of what we know as irregular and regular verbs in Present-Day English? And how do we decide which tense is needed in certain situations? Which role do adverbials play in combination with past tense formation and usage? These are the questions which lead us through our term paper.